Among the main challenges European cities are facing today, new patterns of social and spatial inequality are among the most pressing. Furthermore, the impacts of exclusion, displacement, gentrification and other processes associated with urban change are most visible at the neighbourhood level. The main purpose of the present project is to help empower citizens to more effectively influence local development processes that directly impact on their environments. 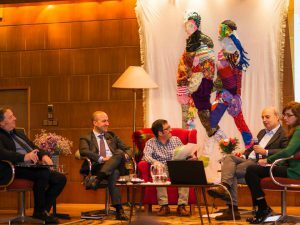 All over Europe, citizen participation is often hindered by a lack of information, a lack of communication and cooperation between affected stakeholders as well as limited access to knowledge of the options available for voicing local interests. Citizens and stakeholders therefore require tools that can help them overcome barriers to participation. Our project involves the creation of a game based tool simulating neighbourhood participation to be used in training and teaching activities targeted at empowerment of citizens. 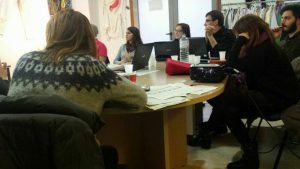 The main target group of EUrbanities project is therefore composed by trainers and teachers who are actively working in different fields of education, related to empowerment of citizens and citizen participation: trainings of people working “on the field” as social workers, local development agents, etc; trainings in adult education or for youth for active citizenship. 3. promotion and sustainability of the game tool: development of a list of pedagogical recommendations and of a Product Dissemination Plan. 5. A Product Dissemination Plan identifying the activities needed for the sustainable extension of the use of the tool EUrbanities will be built around different types of interactive transnational meetings and training sessions: transnational meetings for the presentation and exchange of experience evaluations, transnational meetings for the practical simulation of scenarios of citizen participation, two training courses and transnational meetings for the experimentation of the tool. The project will be closed by a large multiplier event. Teaching and learning activities will be continuously present in the project via non formal and formal training. The lead partners’ consortium will engage 7 members. As a common background, they are all engaged in urban and social issues, with a particular focus on questions of locality, civil participation, social aspects of urban development. 3.intercultural dialogue activities and trainings (non-formal and adult education) as well as further special focuses on e-media, web development and game producing. 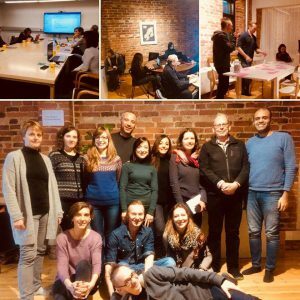 The project lead partner is Comparative Research Network (Germany) who has a sound experience in multidisciplinary research as well as in the organisation of international workshops and trainings in intercultural dialogue, digital storytelling, action research on bordering processes. The partners are: Association for Urban Transition (Romania), Euro-Net (Italy), Institute of Urban Development (Poland), Mine Vaganti NGO (Italy), Regional Research Institute (Hungary) and UrbanisTimo (Finland). EUrbanities will have a direct impact on approximately 4000 people including participants of meetings and trainings, visitors of the project web site and the project’s sites on the social media, readers of articles on the project and of course those who consult the project’s results. As the main indirect effect played by the project is on urban neighbourhoods where local development projects take place (or will take place), we may presume that the indirect impact of the project have long-term relevance for a large section of the EU’s population. 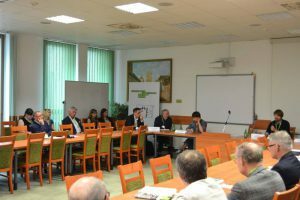 The sustainability of the project’s results and the extension of its use on further stakeholders in other countries is at the core of the dissemination plan of the project. The Product Dissemination Plan will identify the main actions needed for the extension and sustainability of the game tool and all stakeholders will be invited to sign it and to commit themselves in some of the identified actions. The project coordinator is Asociación ONG de cooperación para o Desevolvemento Galega de Reporteiros Solidarios (Spain), partner of this project is: Contextos Información Estrategia y comunicación SL (Spain), Solidarites Jeunesses MCP (France), Youth Union of People with Initiative Associacao para o Desenvolvimento Social e Comunitario (Portugal) and Mine Vaganti NGO (Italy). 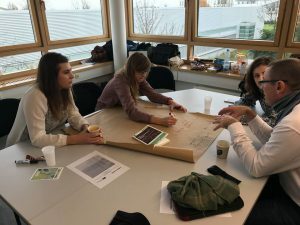 REC–THINK aims to develop a program to involve rural young people in the process of rethinking themselves and their role in the future of their localities. 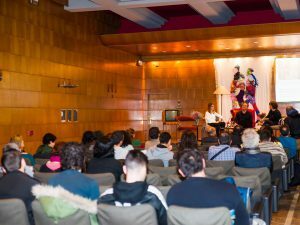 To achieve this goal it will be used the participatory video as a tool for expression and generation of ideas, in such a way “press REC” would be the first step to build sustainable alternatives for young people in their home regions. Therefore this project aims for young people to give voice to their region, breaking the geographical isolation and building a collaborative network to strengthen social relationship. The project aims to train young people to be active agents in political and economic transformation processes, through the development of digital and communicative skills and support the building of participatory and collaborative citizenship. Particulary emphasis in re-thinking sustainable alternatives for the future of their locality. -Develop methodologies and training to promote the empowerment, participation and full development of young people in rural areas in Europe through the participatory video. 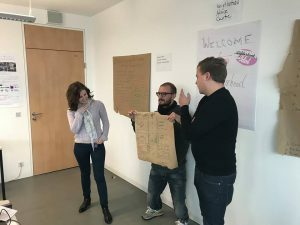 -Create a virtual community with tools for exchange of experience, strategies and the creation of a sustainable alternative for rural areas in Europe, with young people and members of organizations active in these areas. 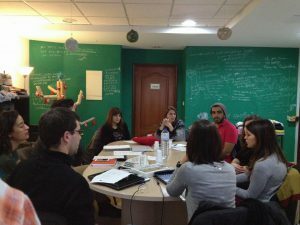 -Train stakeholders of the participating organizations in the tools and methodologies developed during the project. RecThink, K2 Strategic Partnership. 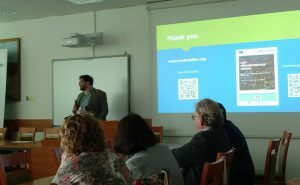 Kick-off meeting in Spain, Vigo. 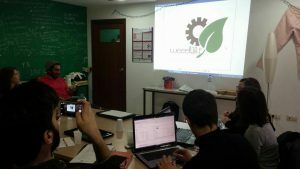 ● the development of a non-formal education methodology adapted from technological innovation contexts (FabLab – Fabrication Laboratories) and based on the principle of “learning by doing” to provide these youngsters with socio-occupational / pre-employment skills. ● the analysis of the reuse of electrical waste and electronic equipment as a niche for generating social enterprises or social intra-entrepreneurial initiatives in organizations committed to finding solutions to difficulties of youth at risk of social exclusion. 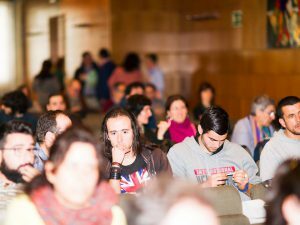 Therefore the targeted group was formed by the following profile: young people with diverse circumstances that share specific elements of their territory and local context, such as expectations and difficulties in integrating into the social and productive system, but with common educational and integration needs. To facilitate their social integration and incorporation in the labour market, the project partners have identified the recovery and recycling of electrical waste and electronic equipment (WEEEs) as an opportunity for the labour incorporation and social integration of these young people, in line with the European Directive on Waste Electrical and Electronic Equipment. This is an opportunity of employability that could be realized with the creation of new social enterprises or / and intra-entrepreneurial projects in organizations. In this sense, WEEELABS will explore a new way of non-formal education processes, tailored and specifically oriented at our targeted group of young people in situation or at serious risk of exclusion, both to serve as specific training in handling, recycling and recovery of waste electrical and electronic equipment -not yet reflected in formal education system- and the development of core basic skills (spoken language, reading comprehension and calculation) and transversal skills (problem solving, teamwork, organization of work, creative thinking and follow-up instructions …). That new way is the validation of the WeeeLabs as an adapted FabLab model. These Fabrication Laboratories were promoted by the Massachusetts Institute Technology (MIT) as workshops / learning communities in digital design and manufacturing scale for personal or local use (usually with 3D printing technologies, precision laser cutters and moulding and milling tools). Final video of the WEELABS project.